Wow! What a surprise! My iPhone internet connection has been very slow over the past few days ... the reason appears to be that they were upgrading the towers for 3G. Yep ... Liberty officially has 3G from AT&T. 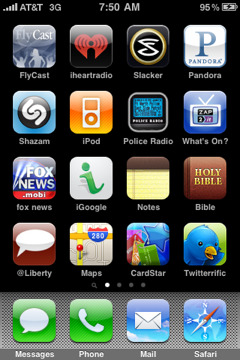 Residents of Liberty closer to Norris were already receiving a decent 3G signal - from a 3G Tower in Clemson.